After adding the clay to silicone moulds, Bian turns the pieces upside down and lets the natural flow of the clay create a unique shape. In the high-temperature firing process, this ultra-thin clay body further morphs into different forms. Once his ceramics are formed, the artist paints them, using an array of colorful pigments including metallic grey and sunflower yellow. “My work attempts to discover the special texture of ceramic materials, and the beauty that is brought to me by the natural forces,” he explains to Colossal. 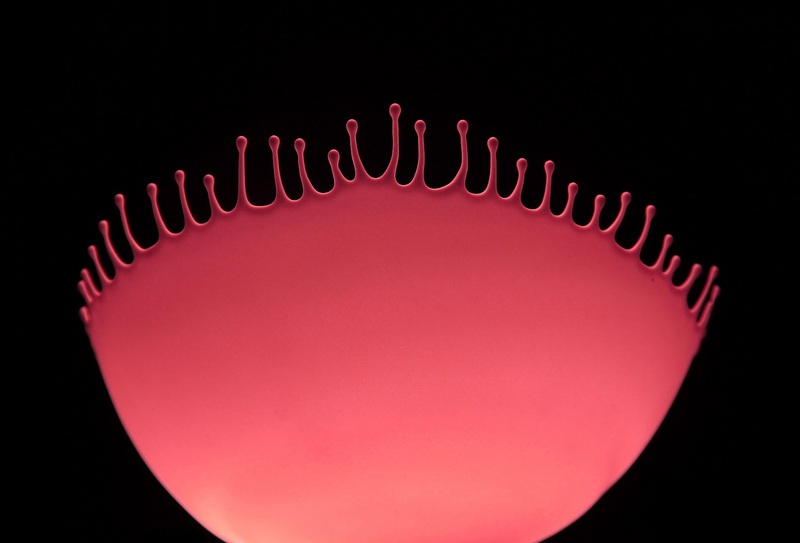 To view more of Bian’s raindrop-like artworks, visit the China Design Centre’s online gallery.